How To Create an EBook of your Blog Posts? Writing is one of the most important part of blogging. A blog is nothing but a sequential order of your writings online, available to all who have internet access. But wouldn't it be great if you could create your very own eBook, say from your own blog posts? You could then boast to your friends about authoring a book! Here is a great web app that will create an eBook from your WordPress or Blogger blog, and will then allow you to download it in PDF form so you and others can read it offline! 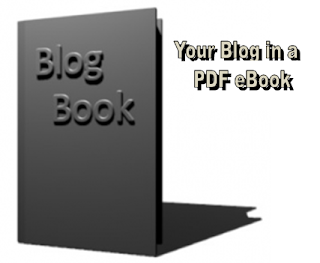 Creating an eBook of your Blog is really simple. Visit Blog2Book, and click on the Start Now! button to start the eBook building process. Note: You can create an eBook of a blog that you don't run (although we don't recommend doing such a thing without the owner's permission). 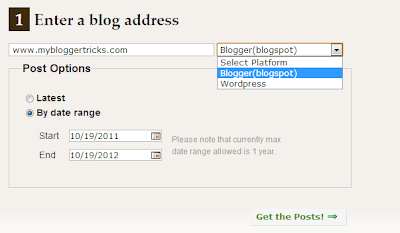 If you don't have admin access to that blog, then you will see limited content. You will get the following message (or similar for WordPress) if this app can't access your blog's full posts. If you log into your Google account, you might need to grant access permission to this app. Next, step is customizing your eBook. You can modify the title, add author name, add subtitle, add preface, dedication, and more! You can change and customize the cover of your eBook too, and add an image to it. Now, your eBook is being created. It might take a few moments, depending upon how many posts you included. When it's done, you can download it in PDF form from the button on the right.